Anyone who opens a record store right now has to be a little bit crazy, but indie label Origami has successfully out-crazied peers like Vacation with the launch of its store, Origami Vinyl. The label's entire business model rests on neither producing or selling records—instead, they're digital-only. Opening a shop filled with vinyl therefore seems like the least logical move they could possibly make. But this could be one of those ideas that's so insane that it just might work. 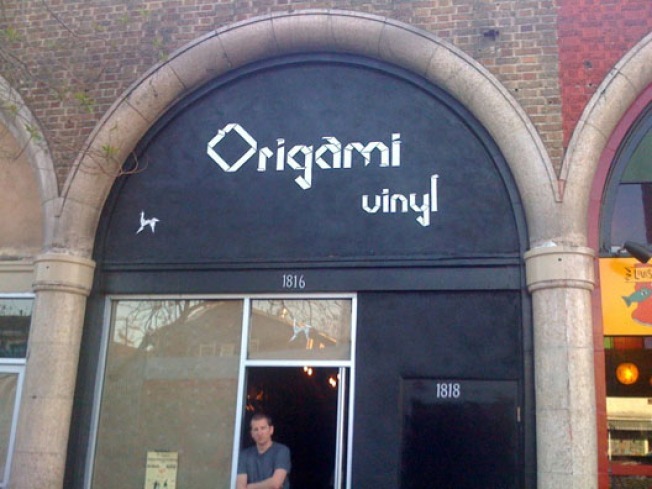 Origami owner Neil Schield has lived in Echo Park for ten years, and after so much time closely observing the hipster locals, he believes the neighborhood could use a good record store. The shop will also act as the box office for concert venues like The Echo, Echoplex, and Spaceland, and it'll carry record players and other gadgets as well as albums. Located at 1816 W. Sunset Boulevard, it should be ready for the public this Friday, with the doors swinging open at precisely noon.